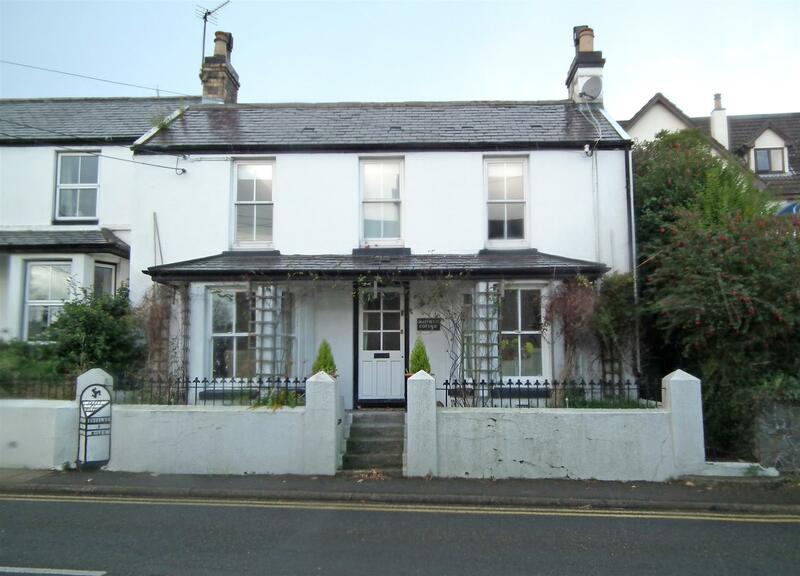 Traditional Semi Detached Manx Cottage in a Popular Semi Rural Location. A Good Sized Lounge with Large Bay Window to the Front Elevation. Dining Room with a Large Bay Window to the Front Elevation and Beamed Ceiling. Galley Style Kitchen with Velux Windows Creating a Naturally Bright Room. 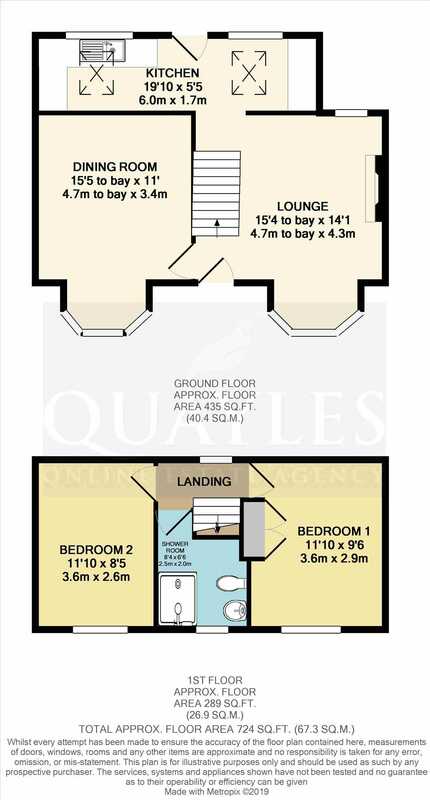 2 Double Bedrooms, One with Built in Wardrobes. Fully Tiled Shower Room. Oil Fired Central Heating. Boiler Replaced 2019. Timber Framed and uPVC Glazing. Split Level, Lawned Rear Garden with Sheltered Patio Area. Travelling from Onchan on the Main Road to Baldrine. The property is located on the left hand side, directly opposite the old post office and clearly identified by our For Sale board. Steps lead up to the canopy porch. The half glazed timber framed door opens into the lounge. Stairs lead to the first floor. Clear opening to the lounge, beautifully presented and with a large bay window to the front elevation providing a seating area. The windows are traditional timber framed sliding sash. The feature fireplace wall has an opening ideal for an inset electric fire or similar. There is a small uPVC window to the rear elevation. Television point. Clear opening to the kitchen. Once again the room has a large bay window to the front with traditional timber framed sliding sash windows. Beamed ceiling. Dado rail. Wired for wall lights. Telephone point. This room extends to nearly the full width of the property. Fitted with a range of base units to one end. Laminate worksurfaces incorporate a stainless steel sink with plumbing and space beneath for a fridge and dishwasher. Space to one end for a cooker. The large timber framed window overlooks the lower patio garden. A timber framed stable door opens to the rear. To the far end are fitted shelves, a wall mounted cupboard and laminate worksurfaces with space and plumbing beneath for a freezer and washing machine. An obscure glazed timber framed window to the rear elevation. Slate effect floor covering. Tongue and groove ceiling with two 'Velux' windows creating a naturally bright room. The landing splits to two sides and has a timber framed window to the rear elevation. Access to the loft. A double room with a sliding sash uPVC window to the front elevation. Cupboard housing the fuse box and electric meter. Fully tiled and fitted with a modern white suite comprising a push button flush WC, pedestal basin and a shaped glazed enclosure with a fully plumbed shower installed. Chrome ladder style radiator. A sliding sash uPVC window to the front elevation. A dual aspect double room with the uPVC windows to the front and side elevations. Built in wardrobe with overhead storage. The garden is set over two levels. Steps lead to the raised garden which is grassed and has a timber shed to the corner. Fencing to the boundaries. Partial sea views. The lower garden provides a sheltered patio area, ideal for alfresco dining and BBQ. The external oil fired 'Firebird' combi boiler, installed Feb 2019 is also located here. The oil tank is situated to the side and a timber gate opens to the front. Walled to the boundaries with steps leading up to the front entrance. All Mains Services Installed. Oil Fired Central Heating. Original Sliding Sash Windows.